View More In Black Seed Oil. Great for Hair, Skin & Nails, Naturally full of Thymoquinone. Cold pressed in NY using our own cold pressing machine - Only the freshest seeds are used and we do not try to alter the taste. The oil is unfiltered. If you have any questions about this product by HalalEveryDay, contact us by completing and submitting the form below. If you are looking for a specif part number, please include it with your message. 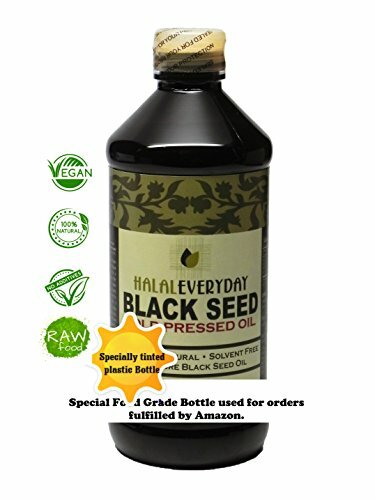 Alive Herbal BLACK SEED OIL - Nigella Sativa - VIRGIN 100% Raw Organic Cold Pressed, Unfiltered, Vegan & Non-GMO, No Preservatives & Artificial Color- BPA Free Food Grade Plastic Bottle- 16 OZ.